The product we're reviewing today, the Photojojo Iris Lens Kit ($140, on sale for $109) is a new entry into a market that has largely been dominated by one other company -- Olloclip. We're happy to say that the Iris lenses are equal or even slightly superior to those from Olloclip, and also work with any iPhone 6/6s/6 Plus/6s Plus, with or without a case. While I like Olloclip's lenses, there were two things that always bothered me about them (I'll mention the second disappointment with their lenses in the Function section of this review). First, you either had to take any case on your iPhone off (past versions) or use the proprietary Ollocase to hold the lenses. When given the choice of always having the ability to slip on the Olloclip lenses or using a case that I really liked, I chose the latter. So needless to say, the Olloclips never got used much. What Photojojo realized is that people are very attached to their cases; in most cases, they reflect the personality of the owner. So they figured out a way of using their lenses with almost any iPhone 6, 6s, 6 Plus or 6s Plus with or without a case. If you do have a case, it has to have an open port for the camera (most do) that's not covered with glass or plastic. Waterproof cases will not work with the Iris lenses. Next, you open the case and place a thin lens plate (there are models for the regular and Plus iPhones) in the corner where the camera hole is, then place the iPhone back into the case. Next, you take a little plastic gauge and determine which measurement -- 1, 2 or 3 -- most precisely fits the small peg that is now sticking out of the back of your iPhone. Place the gauge back over and place the appropriate number next to the flat face in the camera mount, pop a lens (there are three -- wide angle, fisheye, and macro) into the mount, and then mount the lens on the case. That's done with an elastic band that holds the lens mount into place on that peg. I tried the Iris with two different cases -- one from Moshi and the other from Lander. The first used the "1" setting, while the other used the "3" setting. I found the lens to be much more stable with more peg sticking out ("3") than with the other setting. What do I mean by stable? Well, it's being held on by elastic paracord, and if things aren't lined up properly with the peg on the case and the hole on the lens, the lens can move a bit or slip off. So the thinner your case, the more stable the Iris lenses are going to be. That elastic band also makes the Iris into a handy wrist carrier for your lenses, so you can literally have 'em at your fingertips any time you need to take a special photo. My other big gripe about the Olloclip lenses was always the amount of vignetting that showed up in the photos. This makes the corners of photos look dark, and it's quite annoying! With the Photojojo kit, that wasn't the case with the wide angle or macro lenses. I found them to be bright from corner to corner, without any of the darkening that showed up with the Olloclip lenses. As with the Olloclip lenses and in fact all lenses of these types, there is a bit of focus drop off towards the corners of the photos in wide angle and fisheye. That's just something you're going to see with lower-cost optics and it's exaggerated when you have to align an external lens with the built-in optics of the iPhone camera. If you want to see perfect fisheye photos, you need to use a DSLR with a lens that's going to run you at least $500 - $1200. As it is, the fisheye photos taken with the Iris fisheye lens are the best I've seen from an iPhone, even with the slight focus drop on the edges, with surprising brightness. 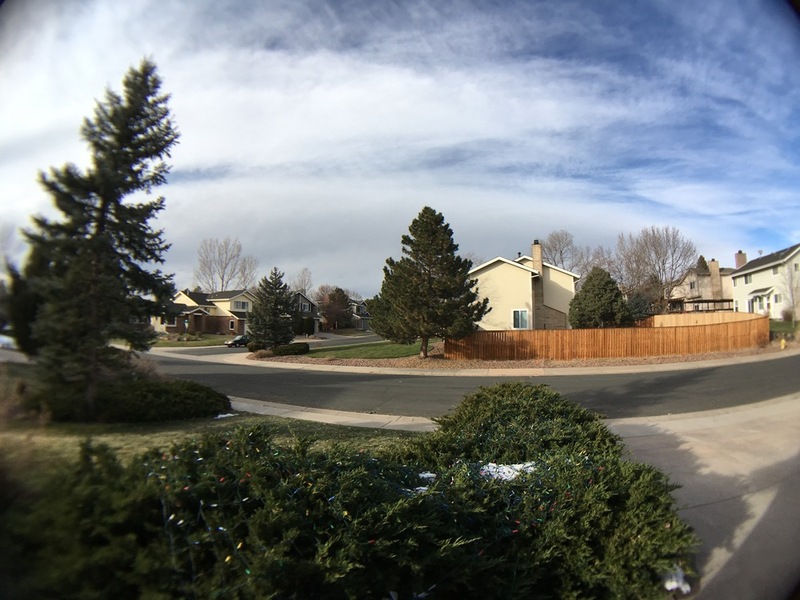 That being said, there still was a bit of vignetting visible with the Iris fisheye lens. As a system, the Iris lens kit works great. All of the lenses come with silicone or plastic holders that are keyed with a flat spot on one side that matches a flat area on each lens. The silicone holders snap together, making a neat little stack of protected lenses that can be dropped into a pocket. 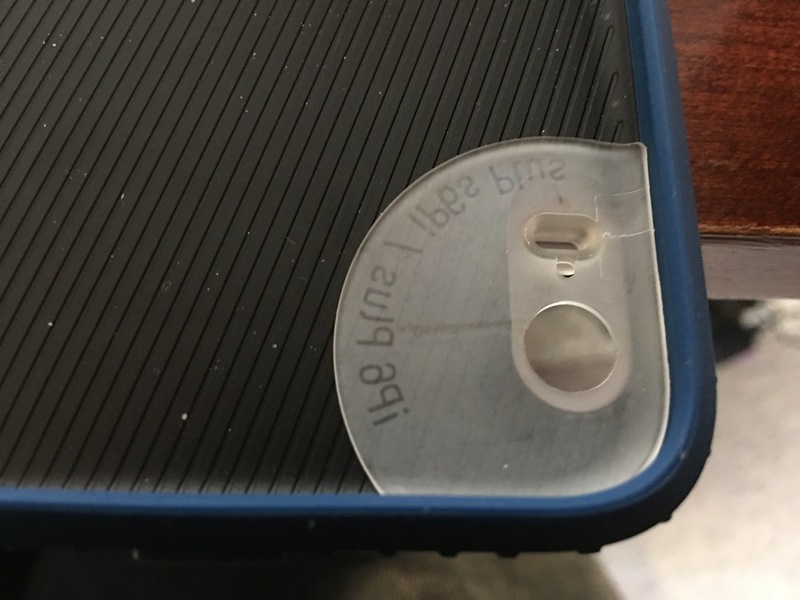 The remaining lens sits in the plastic mount that is used on the iPhone. Price-wise, the Iris lens kit is slightly more expensive than the Olloclip 4-in-1 lens kit, which is the nearest competitor in terms of functionality. The Iris rings in at $140 for the complete set (discounted to $109 for the launch), while the Olloclip runs $80 plus another $20 for the Ollocase for a total of $110. If Photojojo wants to remain competitive, they ought to keep the price at $109 for the foreseeable future. I would have liked to have seen a telephoto lens as part of this set, as that seems to be a rarity for iPhone add-on lenses. The Olloclip Active Lens Kit ($99.99 + $20 for the Ollocase) provides a good combination of a 2X telephoto lens and an ultra-wide angle lens. I found this kit to be quite good, and a telephoto lens is definitely more useful to most people than a macro or fisheye lens. If you don't want to buy all three lenses, Photojojo sells each of them separately. Of the three, I really liked the wide angle lens, and you can pick it up for just $69. My least favorite of the three was the fisheye lens, which I just don't find to be all that useful regardless of the manufacturer. When Photojojo comes out with a telephoto lens that works with the Iris mount, I'll be the first in line to try it out! Photojojo is a company that sells nothing but photographic gear, and it's obvious that they put a lot of research, testing and love into the Iris Lens Kit. Compared to the major competition, I feel that their macro and wide-angle lenses are superior, while the fisheye suffers a bit from the same vignetting that all iPhone lenses do. It's the ability to use the Iris Lens Kit with or without your favorite case that makes it much more flexible than the competition.